All digital blood pressure monitors are automatic to a large extent, but completely automatic digital blood pressure monitors make the whole task easier. Some digital blood pressure monitors still require you to inflate the cuff manually, and squeezing the rubber bulb might be difficult for some people. A completely automatic digital blood pressure monitor will inflate, deflate, and take the readings from both the gauge and the stethoscope, and some will even produce a printout. This makes it much simpler to check blood pressure, even if it needs to be taken a few times a day to keep a record of how blood pressure medication is working. Automatic digital blood pressure monitors will be accurate and a great help in taking charge of your own healthcare and preventative medicine so long as you look after it properly and use it in the correct way. To take care of it you should store it carefully away from extremes of temperature, so don’t place it near heat. The tube shouldn’t be twisted and needs to be checked from time to time to make sure it hasn’t cracked. Any leaks would give a faulty reading. To use automatic digital blood pressure monitors you need to start by avoiding coffee, alcohol and tobacco for at least 30 minutes. Then empty your bladder and rest for about 5 minutes without talking. Choose a seat where you can relax with your back well supported and make sure your legs and ankles aren’t crossed. The cuff from the automatic digital blood pressure monitor goes around the upper part of your bare arm so you’ll need to be wearing sleeveless or loose-sleeved clothing. Fit the cuff close to the arm but check that you can insert one finger easily between the cuff and your arm to see that it isn’t too tight. The bottom of the cuff should be about an inch from your elbow. Once you have the cuff properly in place, turn on your automatic digital blood pressure monitor and it will inflate and deflate the cuff for you and take the reading. On most models you need to press a button to start the cuff inflating and completely automatic digital blood pressure monitor s will do this for you and then gradually deflate the cuff pressure. The reading will appear on the screen and you need to write this down unless you have a model that will give a printout. Once you have made a record of the reading you should press the exhaust button to empty any remaining air from the cuff. If you are unsure about the reading you can repeat the check, but wait about 3 minutes first. In recent years adjustments in diet and lifestyle in most western societies have resulted in an increase in the amount of Americans battling with high blood pressure. High blood pressure (normally medically known as hypertension or more properly arterial hypertension) can be described as serious problem which seldom carries any signs and symptoms and which, if not detected and dealt with, can result in stroke, cardiac arrest, heart failure, arterial aneurysm or renal failure, all of which happen to be series life-threatening situations. So just what is high blood pressure and precisely what triggers it? The arteries of your human body constantly filled with blood which exerts a normal “background” tension on the walls within the arterial blood vessels. As your heart pumps freshly oxygen rich blood around the human body it forces this blood in to the arterial blood vessels momentarily increasing the pressure exerted on the walls of the arteries during every beat of the heart. These types of pressures have been referred to as the systolic pressure (the greater pumping pressure of the heart) and the diastolic pressure (the low “background” pressure). Accepted levels of hypertension vary from individual to individual nevertheless, on average, systolic pressure got to be around one hundred twenty mm Hg (millimetres of mercury measured using a manometer) and diastolic pressure ought to be about 80 mm Hg. That is ordinarily expressed as a blood pressure of 120/80. If your blood pressure starts to increase and stays at the level higher than 120/80 in which case you will be described as being “pre-hypertensive” and, while this may not be serious in itself, it is usually an warning sign that you may be at risk of developing high blood pressure and also the conditions caused by it. 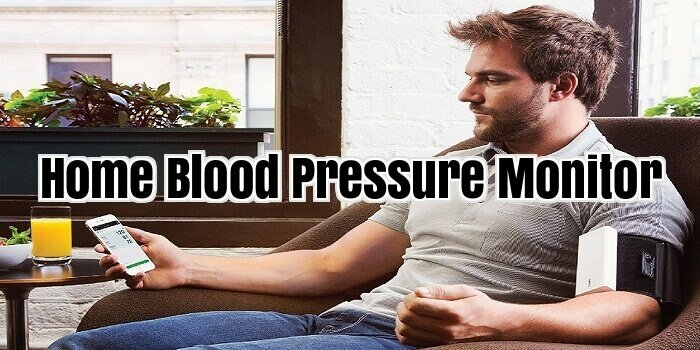 Once your blood pressure gets to, and maintains, a level of 140/90 or even above you are considered to be suffering from high blood pressure and action ought to be taken to reduce your blood pressure. But what can cause your blood pressure to increase and continue to be elevated? Well, there are obvious reasons at play here and the first is a group that you may little, if any kind of, control. This group includes a low birth weight, a range of hereditary conditions, certain kinds of diabetes (in particular type two diabetes) and your own age (as we age our arterial blood vessels are likely to turn out to be fibrous and also lose their elasticity, resulting in a lesser cross-sectional area by which the bloodstream can flow). Usually, the second group of conditions will be much more within your control and therefore includes leading an inactive life-style, high levels of salt and/or saturated fats in the diet, being obese, smoking, careless drinking, emotional stress and being employed in certain occupations such as flying or perhaps motorway maintenance, that involves exposure to long periods of high level roadway noise. Nine out of ten these conditions are treatable and, oftentimes, a simple adjustment to your diet as well as the addition of a certain amount of work outs into your daily regimen is all that is needed to fix the problem. The difficulty however is that, without any real warning signs, the majority of folks simply have no idea that they’re suffering from high blood pressure in the first place. So how do you address the issue? Luckily, the solution to this kind of question is very simple. All you have to do is to pop into your doctor’s office on a regular basis (for the majority of us a couple of times yearly will do the trick) and ask a doctor, or maybe practice health professional, to check your BP. The whole process is painless, simple and quick and offer you a peace of mind and also save your doctor a great deal of time, work and cost later on when you find yourself pressured to present yourself at his or her office once high blood pressure has set in. If, like many individuals, you are not so keen on visiting a family doctor then a really great option is to simply examine your blood pressure in your own home. A wide range of simple to use and comparatively cheap monitors are available nowadays, allowing you to keep close track of your personal health, and that of your own family, in the comfort and privacy of your own house. Blood pressure monitors are becoming more user friendly, so it is quite easy to check your blood pressure at home. If you have high blood pressure or other heart disease, tracking your blood pressure can be important to your health. Home blood pressure monitors are not very expensive, especially if you buy the manual rather than the digital kind. There is one thing that you have to be aware of when choosing a blood pressure monitor, though, and that is the size of your arm. The standard cuff that usually comes with it, if it does not fit properly, may not give an accurate reading. Therefore, you will need to size up in order to ensure a proper fit. The same goes for children and those with small arms. You need to purchase a paediatric size in that case. Protect your monitor to keep it safe from damage. Store it in a protective case when not in use. Don’t let it get too hot like it might in a locked car on a hot day. If you drop the monitor, check it against another monitor to make sure it is still accurate. Check your cuff and tubing for cracks and leaks before each use. Be careful not to submerge your blood pressure monitor in water. There are some things you should make sure of before taking your blood pressure. The first being that a blood pressure reading must be taken while in a resting position, which means no movements, unless your doctor instructs you to do otherwise. It is also recommended to take it under the same conditions each time. This would mean you should avoid exercising, eating or smoking for a minimum of thirty minutes before you take your blood pressure. Today, with cell phones being a common thing to own, you need to be sure to avoid it while taking your blood pressure reading since it could cause an inaccurate reading. You should also remember to sit still when using your digital blood pressure monitor and not move around while it is operating since this will also cause an inaccurate reading. When taking your blood pressure if for any reason it seems unusual or incorrect, then you should always retake it just to be on the safe side. Before you do, however, you have to wait a few minutes. When you do the test again also start over completely, which means you have to remove the arm cuff before you measure your blood pressure. Occasionally, when you visit your doctor it would be wise to bring your blood pressure monitor with you, because it is your chance to check its accuracy by comparing it to the reading you have taken at the doctor. This helps ensure your monitor is working properly and you are getting the correct readings when you do it by yourself. Consistency is the key to tracking your blood pressure. Your blood pressure rises and falls as you go about your day. It might be difficult to spot a pattern if your blood pressure is elevated because you just walked up a flight of stairs as opposed to being elevated at rest. Therefore, take your blood pressure in a consistent manner at the same time each day. There are no known symptoms for high blood pressure. However if you are not feeling so well and you suspect you might have high blood pressure, it is best to visit your doctor right away. Reason being if you do have this disease and it is left untreated, it could be very dangerous for your health. For you could end up getting an enlarged heart. If you suffer from high blood pressure, then it is a good idea to purchase your own home blood pressure monitor. It is vital to your health, and your doctor will suggest that you check your blood pressure in the morning and in the evenings. This is to check if your blood pressure is too high or too low, and to see if your medication is working properly. It would be awfully inconvenient to have to ride back and forth to a pharmacy just to measure your blood pressure. Therefore, you should buy the best blood pressure monitor you can find. Firstly, you need to know the cost of these machines and then decide how much you are willing to spend. The best blood pressure monitor need not be the most expensive. You should choose the best blood pressure monitor catering to your specific needs. Make sure that the cuff size of the monitor you choose fits properly around your arm. This is important because if it does not fit you will not get an accurate reading. The aneroid monitor is a high blood pressure monitor which is very convenient as you can take it wherever you go. This may be the best blood pressure monitor for you, if you are someone always on the move. The cuff expands when you squeeze the bulb and it has a built in stethoscope, and the dial gives the reading. You can also get the digital monitor. Most people think that this is the best blood pressure monitor because it is easy to use. You might think the Samsung digital wrist band is the best blood pressure monitor. It has a pulse counter, date and time feature, and stores your data so you can view it later. Having a high blood pressure monitor can be very convenient, and the best blood pressure monitors come with many different features and a warranty. However, there is a downside to the digital monitors. If you move while taking your blood pressure, the reading may not be accurate. The best blood pressure monitors for home use is important, as you should only get accurate readings for you blood pressure without any trouble. After all, why bother buying something that is complicated to use and require prior experience with use of the BP monitors. There are many varieties of the best blood pressure monitors for home use so make sure that you purchase only the very best. Forget about the price tag, but rather look at the specifications of the device because it is far more important when buying a BP monitor for your protection. If you have a heart condition or hypertension then it is important to keep an eye on your blood pressure because so you can take medications that will normalize the BP rate before it reaches dangerous level. Take note, many people suffered from stroke because of hypertension. If you lack time or does not want to get a complicated BP monitor then it is wise that you get only the best blood pressure monitors for home use. The best is one that reads your BP rate in no time at all, as speed is the main features that one has to look forward to this device. Furthermore, the best blood pressure monitors for home use is simple to use and provides accurate results. After all, why bother buying a BP monitor that could not provide accurate readings, which is the most important thing as this is the purpose of the device. Now, there are digital and manual unit these days, if you want convenience of use then it is best that you buy a digital blood pressure monitors. However, if you do not mind doing a few things first then manual unit is your best option. You should also know that manual unit is far more affordable than any digital monitors are nowadays. The best blood pressure monitors for home use gives people a lot of benefits such as reduce in doctor’s fee, as you do not need to visit the clinic just to have your BP taken. Last but not the least, you do not have to go anywhere as you can relax at home and have your blood pressure taken easily. If you are looking to buy one of the best blood pressure monitors, you are obviously concerned about hypertension. There are many different types of monitors to choose from including the hand pump varieties, wrist options, arm products, and more. Because, there are so many to choose from, it can be a very confusing and daunting process to actually select the one that will best suit your needs. The following guide will help you to know what to look for to select one that will best meet your needs. It is important for you to know that there are absolutely no regulations or standards that monitors need to adhere to or pass. While that may be shocking for you, it is true. It is important therefore that you do your homework and find out just how much the best blood pressure monitors should cost. You’ll be able to set a realistic budget so that you can get a monitor that will give you reliable and accurate readings. Knowing how much you want to spend and how much you should spend before you go shopping will give you the information you need to make a good selection. Do not go for the cheapest one that you can find. These are most likely unreliable and not worth purchasing. Always purchase the best blood pressure monitors from respected retailers or online suppliers. Doing your homework about each retailer that you are considering will go a long way in helping you to choose the monitor that will give you the best service. Online business ratings will definitely help you and organizations such as the Better Business Bureau can give you great insight as to the business practices of the businesses you are considering doing business with. It is also a good idea to only shop with those who offer secured methods of payment. This gives you further insight as to their sound business practices. Look for the best blood pressure monitors from respected industry manufacturers. There is a very good reason why manufacturers stay in business for an extended period of years. You are more likely to get a reliable product from those that have years of experience and expertise backing their products. Further, they are more likely to provide you with the latest in product technology and innovation. Medical professionals will always purchase their medical supplies from well known, established companies and you should consider doing the same. Be certain that you select a cuff that will actually fit your wrist or your arm. Most of the best blood pressure monitors are sized to fit a medium sized frame. If you have larger than normal arms, or even smaller than normal arms, you’ll want to do your homework and make sure that you get a cuff that fits. You will never get an accurate reading if it doesn’t fit properly. There is a wide variety available and most reputable manufacturers give specifications on their products. Go to the manufacturer’s website and get as much information as possible. If you don’t find what you’re looking for, simply give them a call. They should have customer service representatives that can get you the information you need. Carefully, consider the types of features you need before you purchase the best blood pressure monitor. Depending on what your needs is, you may want to buy a very basic monitor. However, if you need to record all of your recordings or other information, you’ll want to verify that the monitor you choose can handle the specific needs and applications that you have. If you measure your blood pressure routinely, you will be able to detect any gradual changes in your blood pressure. This is important if you have blood pressure that is above normal, or if you are, or even think you might be, at risk for high blood pressure. If you find your blood pressure is slowly increasing you can seek treatment and make lifestyle changes, and reduce your blood pressure before it gets too high and starts to cause damage to the body. If there is a sudden change in your blood pressure, which is not just one reading but persists over several readings you can get evaluated immediately. The majority of people, when at the doctor’s office or other healthcare setting, seem to get at least some level of “white coat hypertension”. This is increased blood pressure in a medical setting, at the time that blood pressure is measured. This increase is not going to make normal blood pressure go sky high (e.g. not from 120/80 to 200/100) but can, for instance, move your status from normal to pre-hypertensive. Some researchers’ estimate that white coat hypertension under some circumstances may account for up to 25% of diagnoses of high blood pressure. The result of this is that in some cases high blood pressure medication is prescribed to persons who do not need it. You need to know what your real blood pressure is, not what it is when it you are in a healthcare setting. A number of studies have compared taking blood pressure measurement in a physician’s office or at home either using a digital blood pressure monitor or an ambulatory blood pressure measurement (wearing a device that measures at intervals throughout the day and night; see the discussion of types of monitors). It was found that measurement of blood pressure at home, either using a digital blood pressure monitor or wearing an ambulatory monitor, was a better predictor of heart and other problems, than readings taken in a doctor’s office. Blood pressure changes as daily life varies – know your resting normal pressure Depending on what you are doing, the position of your body, stress level and other factors your blood pressure will vary. See factors that affect blood pressure. What you need to know is what is your usual daytime blood pressure actually is. Home measurement of blood pressure allows you make multiple measurements of your pressure at different times of a day, and different days to determine your normal range of blood pressure. It is useful to know if the time of day affects your blood pressure. For instance some people have a blood pressure surge first thing in the morning. It is a good idea to mention to your healthcare provider any daily trends. Here are guidelines for measuring resting blood pressure. Increasing blood pressure is a possible side effect of some medications such as MAOIs (monoamine oxidise inhibitors). If you discover a medication does increase your blood pressure, then you can, in consultation with your healthcare provider, either change the medication or take measures to lower your blood pressure. When medications have been prescribed for high blood pressure, how well blood pressure has been lowered can be determined. You can determine when any drop in blood pressure is stable and the size of the decrease. If blood pressure is not lowered sufficiently, then you can see you healthcare provider in a timely fashion and discuss your options. In up to 10% of pregnant women, blood pressure increases after about 20 weeks of the pregnancy. In the majority of cases the increase in blood pressure remains only slightly elevated and does not become a problem. However, in some women, blood pressure can continue to increase to high levels that can result in damage to the foetus, both by a reduced supply of oxygen and the potential for early separation of the placenta from the wall of the uterus. This increased blood pressure is known as preeclampsia, which if not controlled in severe cases may result in the death of the foetus and/or the mother. The mother can get life-threatening seizures, which are known as eclampsia. For this reason blood pressure should be monitored frequently during pregnancy. Owning a Blood Pressure Monitor these days is important so that people can keep an ever watchful eye on their health, and that’s the reason why our Blood Pressure Monitor Reviews website was created. There are definite advantages to owning your own blood pressure monitor. The biggest advantage of course is that you have greater control. There is no need to make a doctor appt. or drive down to your nearest drugstore to get your blood pressure checked. In addition, health care professionals highly recommend that people monitor their own health by using an at home blood pressure monitor for a number of reasons. The biggest reason is that by taking your own blood pressure, you are able to present a range of readings to your doctor so that they can look for (and possibly detect) any irregular readings that might occur during your normal daily routines over a given length of time. This then gives them the information they need to evaluate the effectiveness of current treatment and/or medication. Morning Hypertension – where your blood pressure results are higher in the morning. White-Coat Hypertension – where your blood pressure gives a higher reading at your doctor’s office but you get a relatively low reading from home. Masked Hypertension – when your blood pressure is low when taken at your doctor’s office, but high when taken at home. Your blood pressure can change up or down depending on a variety of factors. This may include physical activities, emotional highs and lows, stress and medications, etc. While some pharmacies may have an in store blood pressure monitor, they probably won’t give you an accurate reading if you’ve just come in from shopping or walking around. So monitoring your blood pressure from home allows you to relax and be in a relatively calm state of mind, as well as simply being very convenient taking your readings frequently during the day. The most outstanding feature of the Omron blood pressure monitors is that they are reliable and consistent with clinically proven accuracy. All Omron blood pressure monitors have gone through rigorous testing in order to meet the required safety and high accuracy standards determined by independent organizations. Wristech blood pressure monitors are light weight and simple to use. Just attach it to your wrist using the Velcro straps and push the green button to activate. You’ll have quick, fast results of your blood pressure and pulse rate displayed on the large easy to read panel. They also feature a built in date and time that automatically charts your results and stores up to 99 readings for future reference. As wrist blood pressure monitors differ greatly with their features, their accuracy shouldn’t. In order for wrist blood pressure monitors to be accurate in their readings they must be used exactly as instructed in their manual. To obtain an accurate reading, your arm and wrist must be elevated to the level of your heart, most wrist blood pressure monitors only work in this position. With Omron’s sophisticated technology with their blood pressure monitors, they now offer a range in wrist blood pressure monitors, that are easy to use and can be taken anywhere on your travels or for use at home with a variety of options to suit your needs. Managing high blood pressure has become easy, simply by checking your blood pressure using a home monitor. All heart and health organizations across the world recommend those with high blood pressure, to monitor them daily at home. This assists with keeping an eye out for fluctuations, proper working medication and to alert you and your doctor to any health complications arising. Panasonic is a widely trusted brand and their blood pressure monitors are no exception to their standards of user friendly features for each of their models. All models can be used regardless of the user’s size or physique. Some have the ability to record more than one user’s readings. Their technology and accuracy for taking blood pressure and pulse rates have been clinically proven. Manual blood pressure monitors are also referred to as aneroid monitors. Their main benefit is their cost as well as not requiring batteries in order to use it, making this monitor practical to take anywhere.